StarTree is a pan-European project to support the sustainable exploitation of forest resources for rural development. The project ran from November 2012 - October 2016 and is now completed. 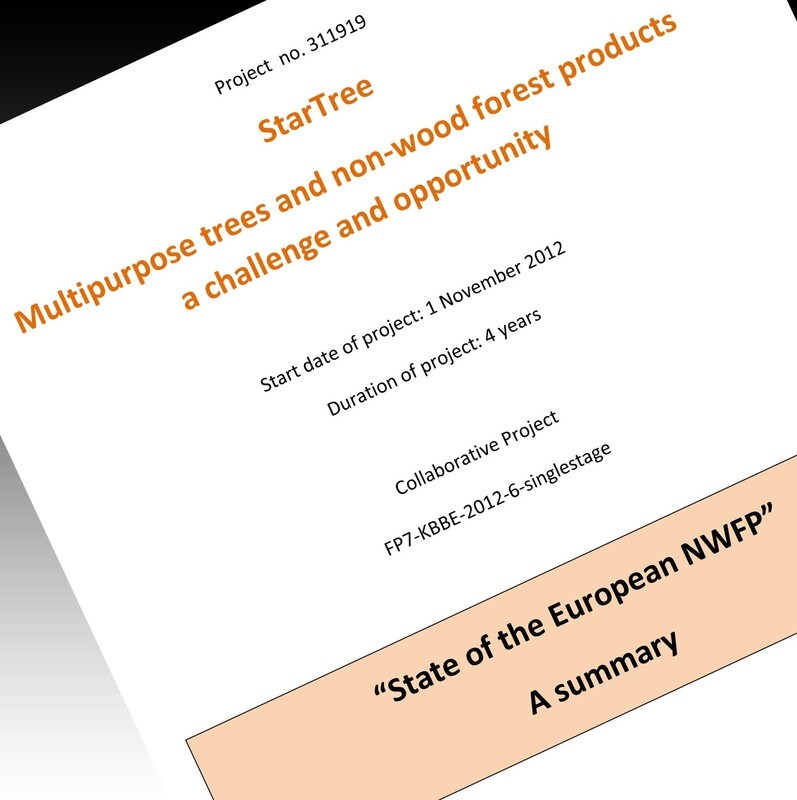 What can StarTree add to our understanding of non-wood forest products (NWFP)? The picture which emerges from the StarTree research is one which demonstrates the central role of NWFPs in the forest culture of Europe. 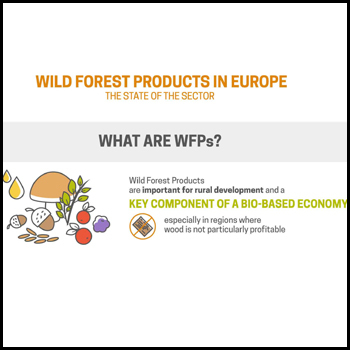 Wild forest products (WFPs) are vitally important for Europe's people and its economy. Used wisely they can help to bring about the necessary shift to a sustainable, smart and inclusive bio-based economy, a bioeconomy. 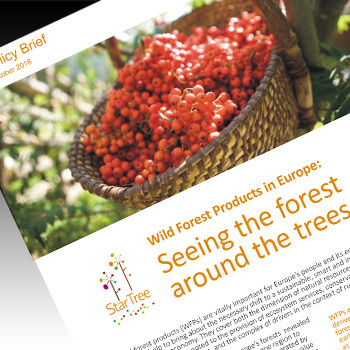 A visual glimpse at the current state of wild forest products in Europe, based on StarTree research and sector mapping. For the full report, read State of the European NWFP. A StarTree infographic shows how forests provide us with a great deal more than wood and can be used to strengthen economic activities in rural areas.